Official Viwawa Blog: Play Kings and Legends to win Viwawa Cash! 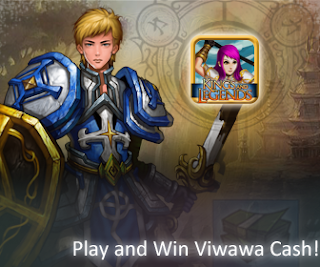 Be rewarded with a Viwawa Kings and Legends e-badge when you play the game anytime during 28th June 2013 to 30th June 2013! 10 luck winners will walk away with 1000 Viwawa Cash. Join us in the fun and exciting card battles of Kings and Legends!